Met a little snek outside the house yesterday. 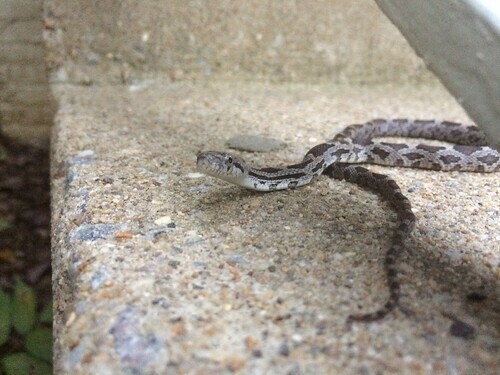 From the Virginia Herpetological Society list it seems to be a juvenile rat snake. We did not step on snek.